Nonetheless, Mark went ahead, actually made it, posted a killer picture on Twitter, and raved about it. He liked it so much he even tried it with beets and zukes a few days later. He seemed so genuinely enthusiastic about his beet rice I was left with one option: I'd need to try it myself. I have to be honest here: I was 100% positive I would hate it. While I was chopping, while I was grating, while I was sautéing, while I was stirring, all I could think about was: this is going to be a disaster. I was sure I was cooking rice that would taste like dirt — since I firmly believe that beets taste like dirt. Boy I was wrong. So wrong. 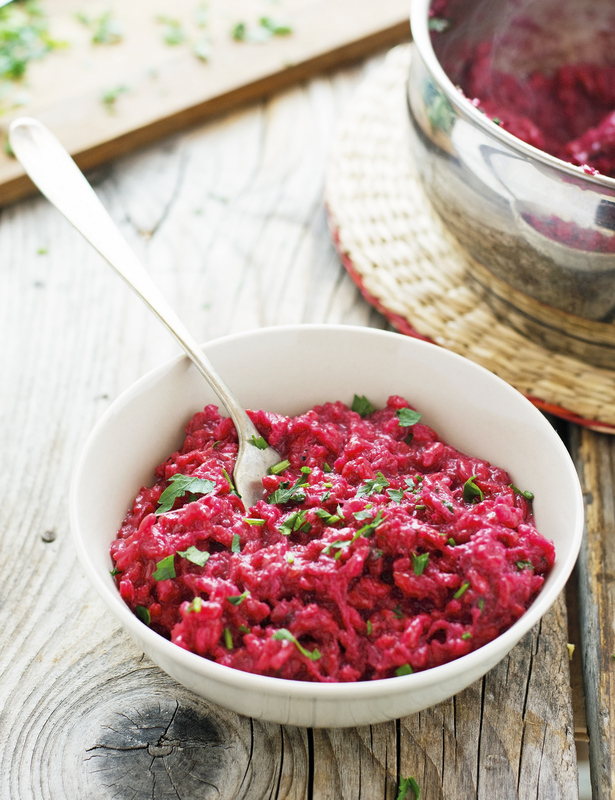 This (super pink) rice is delicious not only pretty to look at — the beets bleeding into the stark white rice create something incredibly eye catching. There are quite few components that make this recipe a winner. Rice works magically with the earthy beets, while the umami of Parmesan cheese balances perfectly their sweetness. A bit of cheddar to make it richer and finally, fresh parsley and tarragon bringing freshness and brightness to this rice. Creamy, fresh, healthy, hearty, colorful, and so very delicious. This is one delicious rice dish. 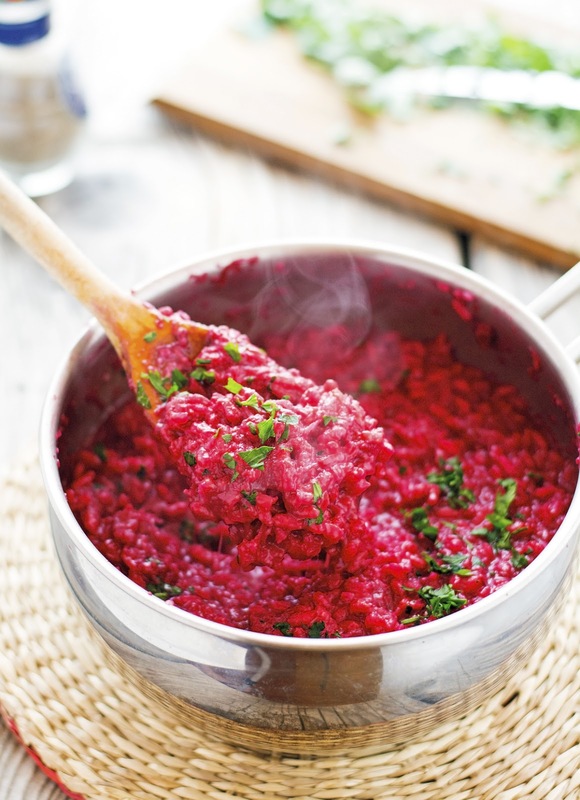 One-Pot Cheesy Beet Rice Print this recipe! Stir in vegetable broth and rice. Bring to a boil over medium-high heat, reduce to a simmer, cover, and cook for 13 minutes. 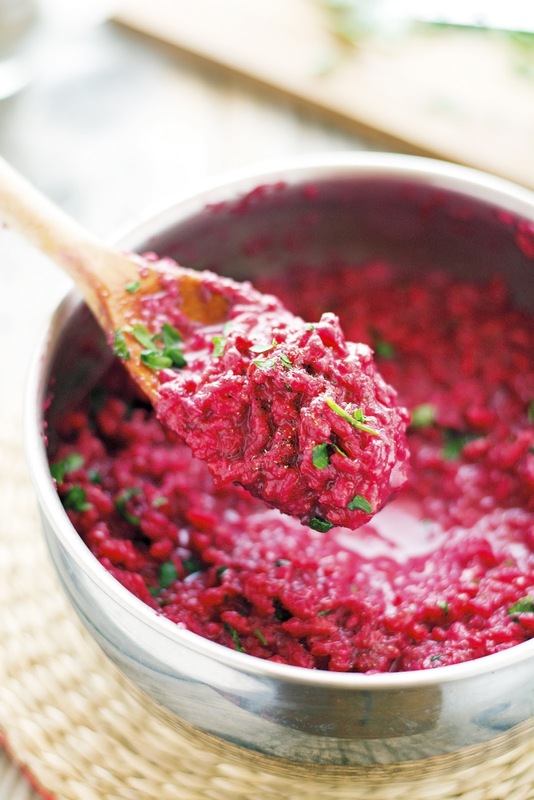 Add shredded beet, give a good stir, and cook for further 3 to 5 minutes, or until the rice is cooked through. Remove from the heat, add Parmesan and cheddar and give a good stir. Cover and let stand 3 to 4 minutes. Take a taste and adjust seasoning as needed. Sprinkle with parsley and tarragon and serve immediately! One serving yields 221 calories, 9 grams of fat, 27 grams of carbs, and 9 grams of protein. I love the additions you've made to this recipe and am going to try them myself. I used jasmine rice myself, but of course, anything can work. This is a great way to get all that beety goodness. With fall coming, what can be next...pumpkin rice? Thanks for the inspiration Mark. I think arborio rice works best as it absorb liquid and flavor really well. 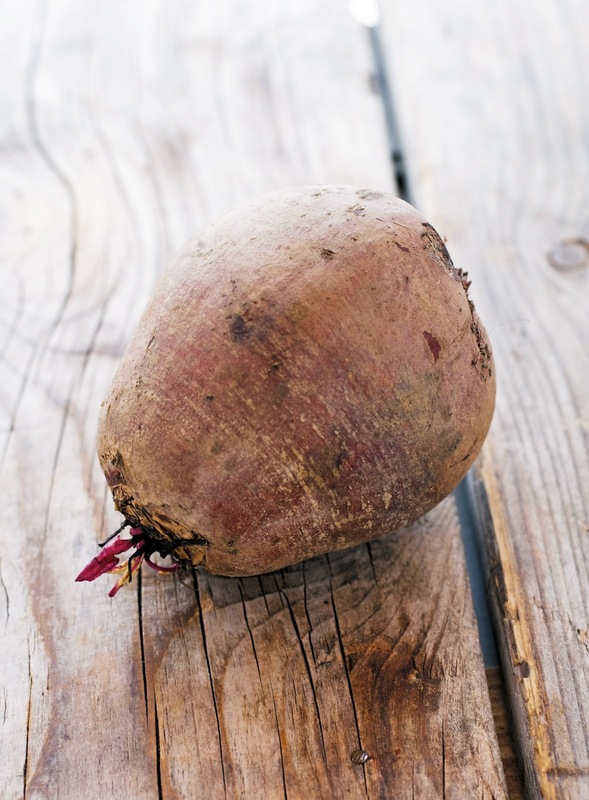 I'm slowly starting to warm up to beets, too. I'm already in love with the color and I really love this beet tatziki that I get at a bakery here in Boston. I bet I will like this risotto, too, especially with the cheese! I modified this recipe to use up some couscous I had already cooked. The couscous really adds to the creamy-velvetiness and made this feel super indulgent!